That’s what technology does, it changes us. We conceive it, we design it, we build it, we sell it to everyone we can, and we use it at such a scale that it then changes the society that uses it. We like to think about technology going to work for us, but it also very much goes to work on us. And I don’t think that is a bad thing. The microwave may have made us more impatient, but after the microwave, my dad brought home a VCR, and it made us more spontaneous – we were no longer slaves to the TV Guide timeline. Cell phones made us feel more secure, GPS made us more autonomous. Not all technologies have this sort of societal effect, but I’m fascinated by the ones that do. For me, one of the most exciting intersections is the intersection of people and technology, and one of the most exciting possibilities is that we can invent things that change us. If we can build things that change our sense of time, if we can build things that can change our sense of freedom, if we can build things that change our sense of safety and autonomy, can we build things that change our sense of creativity? Can we build things that make us, as a society, smarter? Can we build things that give us new ideas? I’m pretty sure we can. 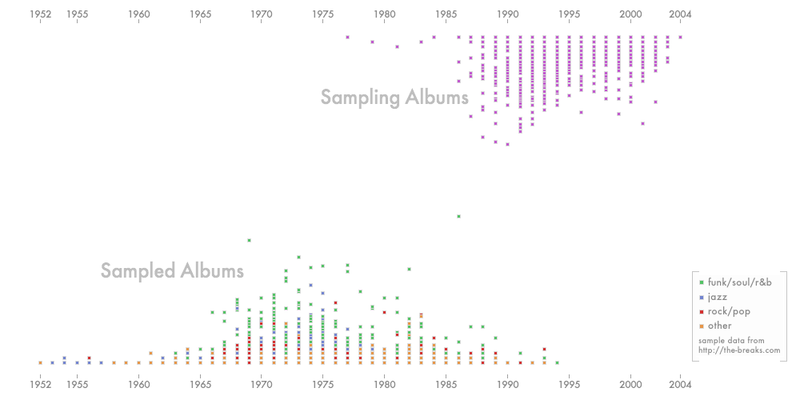 When the technology came out in the 1980’s to digitally sample music, it didn’t just lead to more music, it led to a whole different genre of music. Musicians could suddenly select snippets from other works, speed them up, slow them down, layer them together, and weave them into their own work. As this became more prevalent, music sampling moved beyond using just other music. Artists began sampling speeches, phone calls, sounds that had never existed inside of a studio before. It was a creative explosion, and I believe it was new, even though it was, in a way, just a recycling of what already existed before. I think that all “new” ideas are like this – they come from recycling, remixing, recombining, building blocks that have come before. I know that even this very idea, of ideas being like remixed songs, is not new. 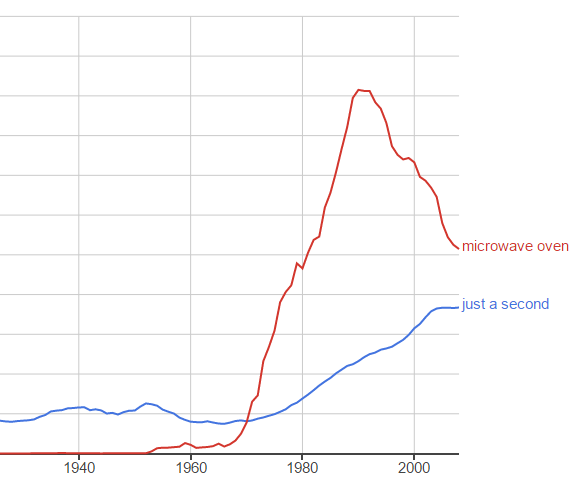 But maybe this is the first time it has been combined with microwave ovens? Another idea that is rapidly becoming not so new is that ideas are not monolithic entities passed down from some fickle benevolent muse to a lone genius, but that they are interconnected networks built from many small and varied contributions. (Check out this TED talk about the influence of networks and New York Times article about the myth of the lone genius.) And this is why I think technology is so perfectly suited to help facilitate idea generation. If there is anything that technology has proven it is good at in the last 10 years, it is building networks from many small and varied contributions. The challenge, I believe, in facilitating new ideas isn’t that different from the challenges that faced those driving the music sampling revolution in the 80s. We need to find the right tools and the right abstractions, the right levels of granularity and the right levels of modularity, to allow us to break monoliths down into their more discrete component parts. We need to capture the right meta-data to allow those small components to be useful and not get lost in the heap of other small components, and we need to create the right combinatorial environment in which those components, and the people behind them, can build new structures in new ways. And, perhaps most importantly (and a challenge that the music industry still struggles with), we need to make sure that all the people involved get the credit, and when applicable, the money, they deserve. Years ago I had the pleasure of working with a colleague who was replete with wise sayings. He once told me, “You can have anything you want, just not everything you want.” I have found this over and over again to be very, very true – and especially applicable to my work as an engineer and software architect. He also once told me, “You are the living answer to the questions you ask.” That is, if you ask yourself, “Can I marry a supermodel?” or “Can I make a million dollars?” your life becomes the answer to that question, regardless of whether you actually end up making your money or marrying your object of attraction. This saying has always served for me as a reminder to watch carefully the questions I ask because the path my life will take will be the enacted search for their answer. In 2011 the question that became the most important one for me to ask was, “Can I build a software platform to facilitate new ideas?” Thankfully, I wasn’t the only one who spent time musing about how technology like the microwave can change society and wondering about what ideas are really made of. I found a small team of like-minded people and we started a company called Exaptive. To facilitate our own ideas, we filled our minds with the ideas of others, and our bookshelves with the books they had written. We read about creativity and innovation and networks and cities and urban planning and remix culture and adjacent possibilties and conceptual blending and emergence and consilience and, of course, exaptation. Then we wrote a bunch of code, and tried some things, and rewrote a bunch of the code, and tried some more things, and rewrote the code again, and read some more books to try to remix a bunch more ideas that we could recombine with all the other ideas we had sampled from before. Somewhere along the way we built some pretty neat stuff and got some customers and made a little money, and that let us keep going on our mission, and now set up this blog where we can share our ideas with you. Maybe you can remix them, and improve them, and then let us sample them back in new ways to build new things. Meanwhile, we’re working on a platform that will make sure that when people remix ideas like that, everyone involved will get the credit, and when applicable, the money, they deserve. We still have a lot of work to do to develop the environment we envision, and to facilitate the sorts of ideas that we think are truly possible to facilitate, but we’re excited about the path it’s taking us down. And we’re excited that you read this blog post and are joining us for a bit of the journey. There are many more posts to come, not just from me, but from the whole team as we each share our perspectives on the work involved in building an idea platform. We'll cover a wide range of topics, and we'll try our best to find a balance between talking about the big-picture ideas that inspire us alongside showing the real-world code and examples that give those ideas form. I hope that you'll become part of the dialogue with us - as we talk about cognitive networks and see how far we can push data-science, as we design new data-visualizations and combine them with machine-learning, as we struggle to find the best ways to get people and computers to work together, as we ruminate about virtual cities, how the Einstellung effect is like exaptation, and why serendipity is so overrated. And I hope that you'll get excited about the path those thoughts take you down too. It won’t be as fast as a microwave dinner, but hopefully far more satisfying once digested. Thanks again, and don’t hesitate to get in touch if something you read sparks an idea – we’d love to hear from you.